We offer a variety of conveyor products and solutions including high speed conveyors, standard belt conveyors and accessories. Round belt conveyors will be available soon. 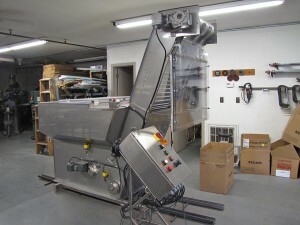 High Speed (up to 500 FPM) vacuum conveyors for bottle cap inspection, also available as a standard belt conveyor. 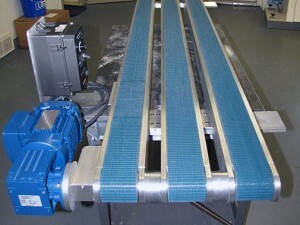 Learn more about our high speed conveyors. 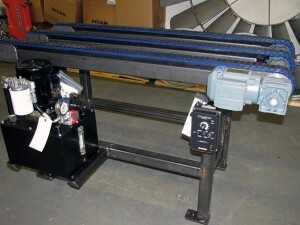 Learn more about our standard speed belt conveyors. Learn more about our casters, inverters, and stands.